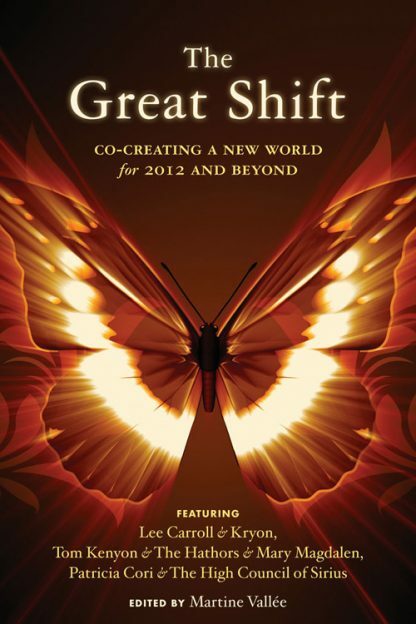 Red Wheel ∕ Weiser Online Bookstore | The Great Shift: Co-Creating a New World for 2012 and Beyond by Lee Carroll (Kryon), Tom Kenyon, Patricia Cori et al. This extraordinary book brings together many sources of important information on the changes occurring within our world, ourselves, and the evolution of consciousness leading up to the year 2012. The text is addressed in part to Lightworkers, for whom the energy shift now gearing up has been ongoing for at least the last twenty years. The time is getting closer. Tom Kenyon channeling the Hathors, a group consciousness entity, reminds us, �It is your attention to an event that makes it conscious.� Kenyon also explains what channeled material is, which is important in understanding how we co-create our own world: �From the standpoint of neuropsychology, channeled information is just another expression of our brain/mind potential . . . a movement into the unknown territory of one�s own psyche to see what emerges in terms of contact (with other intelligences) and information.� The Hathors message for what is now and what is to come: �It is so simple, it is forgotten. . . . Find a way to live your life in joy and happiness.� Mary Magdalen, through Tom Kenyon, makes it clear that restoring the balance between male and female energies will mean good things for men as well as women and will reignite our creative potency. Patricia Cori channeling the High Council of Sirius reminds us that the future is never predetermined and the past is an illusion�different for each of us. Tom Kenyon is a teacher, scientist, sound healer, shaman, and psychotherapist. He is also a channel for Mary Magdalene and for the Hathors, interdimensional beings who are masters of love and sound from an ascended intergalactic civilization. His books include The Hathor Material and The Magdalene Manuscript.